Deutschamerikaner means German American in English. It forms the largest ethnic group (a common descent or background shared by the population or community of a place) in the United States of America. 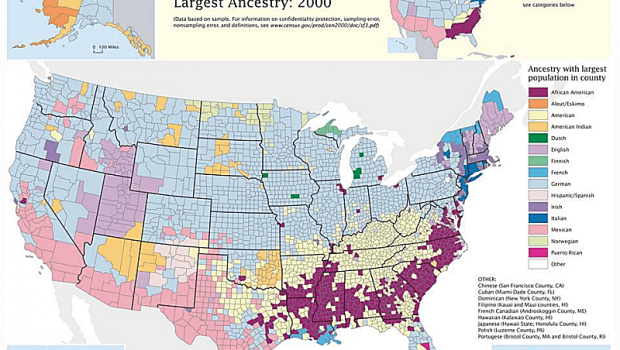 The United States Census Bureau conducts American Community Survey (ACS), a statistical survey where their work primarily consists of collecting previously contained information in the form of decennial census, conducted a survey from the year 2009 to 2013, and showed that there were around 47 million or 15.3 percent of the entire population of Americans claimed German ancestry. This group accounts for around one third German migration in the world. There were many different political, economic and religious reasons behind this mass migration (migration of groups that are usually large in number from one area to another geographical area) from Germany (Europe) to the other States in the world. The German immigrants consist of many different sub-groups with distinct cultural values and religious preferences, but mostly they consisted of Jewish, Protestant or Catholic. After migrating to the United States most of the German population got into farming and trading in the small towns and cities. It is important to note that there were no American colonies in the German states. Pennsylvania and New York which were British colonies were the primary settling location for the first considerable group of German immigrants which came to the United States of America in the 1670s. Around eight million Germans immigrated to The United States of America in the 19th Century. By the year 2010, German population in America grew close to fifty million citizens, which is around additional six million people since the year 2000. A “German Belt” extends across the Unites States of America, starting from eastern Pennsylvania and extending up to Oregon Coast. Pennsylvania consists of the largest German-American population in The United States of America which also serves as one of the original settlements for the group. Philadelphia which is also known as Germantown was founded in the year 1683. It is also the birthplace for the protest opposing the African-American slavery also known as the American antislavery movement in the year 1688. In the year 1777, American Revolutionary War was fought at the Germantown (Pennsylvania) between the American Army which was under the command of George Washington and the British Army under the command of Sir William Howe. The War was won by the British Army and thus Philadelphia, the capital of The United States of America remained in the hands of the British from 1777-1778. There are around three and a half million people in the state of Pennsylvania of German descent. First kindergartens (preschool education for children) were established by German-Americans in the United States of America. The German American even introduced the tradition of Christmas tree. American food such as hamburgers and hot dogs were also originated by the brains of German-Americans. A significant number of people who have German descent have now become Americanized (a process by which an immigrant who comes to The United States of America is assimilated by accepting the American customs, beliefs, and values of the American society). They can barely be distinguished from the other Americans; less than five percent of the German American speak the German language. All the German American societies established in the United States of America celebrate festivals that are related to German Heritage. German-American Steuben Parade is celebrated in New York City, is the most famous celebration by the German-American community it is celebrated every year in the month of September. Oktoberfest is another such festival celebrated every year. German-American Day is a day for celebrating the German-American culture throughout the country on October 6th. Chicago, Milwaukee, St. Louis, Cincinnati and Pittsburgh are cities where major German Festivals are celebrated annually. In the 1600’s, many Germans moved overseas through the ports of London located in LeHavre, and Rotterdam. The first German-American, Dr. Johannes Fleischer accompanied the first English settlers that arrived at Jamestown, Virginia in the year 1607. Dr. Fleischer was the only Continental European among the founding settlers of Jamestown. He was the first trained botanist and first physician in the English America. In the year 1608, German Glassmakers and carpenters also arrived in the city of Jamestown. They came to make tar, pitch, glass and mills. These few products were shipped and sold back to London by the company who had formerly founded their settlement in Jamestown. The first settlement which was permanent for the Germans was Pennsylvania, founded on 6th October 1683, and it was aptly called as the Germantown of The United States of America. The Germantown was closely located to Philadelphia. Pennsylvania was the most favored destination for the Germans who migrated to the States in large numbers between the 1680s and 1760s. All migrated to the United States for different reasons. There were a lot of reasons which pushed these Germans out of the Central Europe and made them migrate to the United States such as famine, loss of property and wealth, death threats, pollution, poor housing facilities, need for more religious and political freedom, scarcity of jobs, inadequate living conditions, forced labor, discrimination, war and many more such issues. On the other hand, there were a lot of reasons that pulled the Germans towards The United States of America such as better job opportunities, education, living condition, religious and political freedom, enjoyment, medical care, security, industries etc. Many times the immigrants used to pay for their passage to the United States by working as indentured labors (a work contract between the master and servant for a specific period of time, usually for a specific amount of money or other such benefits). Most of the Germans were attracted to Pennsylvania and New York upstate and it is also important to note that they were mostly either German Reformed (a branch of Protestantism who follow theological tradition. They also follow John Calvin which is a form of Christian practice) or Lutheran (people who identify themselves with the practices and belief of Martin Luther). Many even belonged to religious sects which were really small such as Mennonites and Moravians. German Catholics arrived in large numbers only after the War which was fought in the year 1812 between the United Kingdom and the United States of America. Anne, the Queen of Great Britain, helped Protestant Germans escape from Palatine (a region in Germany) in 1709. They had to then travel from Rotterdam to London to reach her and thereon it was here that she agreed to help them to get to her annexed American Colonies. The trip to America was filled with hardship as it was a difficult and a much longer journey. Poor quality of water and food were the only means of sustenance that were available aboard the ship and also an infectious disease named typhus which had affected a lot of people infested numerous crew members. This resulted in the death of numerous immigrants who were on board before they could reach their destination – America in the month of June, 1710. Around 2100 Palatine immigrant who managed to survive this difficult voyage were became famous because they were the largest number of single immigrants to have reached The United States of America during the colonial period. Most of the people who survived, they settled near the Hudson River and worked at the work camps to pay for their passage. By the year 1711 around 7 villages were established on the Robert Livingstone mansion in New York. First of the Europeans were allowed to purchase land in the Mohawk Valley in the year 1723 were Germans. It was located west of the Little Falls. By the year 1750, the Germans had occupied around nineteen kilometers or twelve miles stretch of land on both sides of Mohawk River. Around five hundred houses that were built on this stretch of land were made completely out of stone and as an added benefit to the settlers here. The land along the river was extremely fertile for agriculture and thus this region prospered in trade. The best known German settlement was the region of Herkimer and it was also called as “German Flats”. John Peter Zenger and John Jacob Astor were few of the most famous German immigrants. The colonization of the state of Louisiana was first organized by John Law. Around one hundred fifty German farmers who emigrated from France to come to the United States of America reached Louisiana. Their settlement came to be known as the German Coast. They were hard working people who under the leadership of one of their fellow Germans known as D’arensburg started clearing the land so as to start agriculture. They used simple tools to cultivate the land and plough the field since no animals were available to them. In the year 1721, many German pioneers were settled by Mississippi Company in Louisiana which was under the French control. A large number of colonies were founded in Virginia between the years 1714 and 1717, called the Germanna (it was a combination of two words, the first half reflected the German immigrants and the second half was named after the Queen of Britain, Anne). It was because of the extensive advertising done in Germany by Lieutenant Governor of Virginia Alexander Spotswood. He wanted miners from Germany to move to the United States and establish an industry in the colony for mining. Head rights (settlers getting land as a legal grant) were given by the Virginia Company of London to help in expanding the British Colonies in the United States of America and at this point of time, there were around thirteen colonies which needed expansion. The Lieutenant Governor of Virginia Alexander Spotswood took advantage of these head right. Places like Texas, South Carolina and around Dutch Fork which were south of America had a lot of German colonies. Many Germans (roughly a thousand of them) settled in Broad Bay in Massachusetts, between the years 1742 to 1753. Many houses in the colonies were burnt by Native Americans and people were taken into captivity. This was one of the most important reason why people started fleeing colonies in Boston, North Carolina, and Nova Scotia. Germans who chose to stay back found it extremely difficult to sustain on farming and later took up fishing and shipping. Pennsylvania saw a huge influx of German immigrants between the years 1725 and 1775 and by the year 1775 more than one-third of the people in Pennsylvania were Germans. The German Immigrants were famous for their agriculture practices and animal husbandry. They were politically inactive and were loyalists (loyal to British Crown), probably because they were afraid that their land grants would be revoked by the Republican Government if they came to power or even by the British Monarchy. The United States of America saw the biggest wave of German immigrants (approximately six million) between 1820 and till the beginning of the World War I. Germans were the largest group of people to immigrate to the United States of America between the years 1840 and 1880. A revolution took place in the German state in the year 1848, which forced people to take political refuge in America. They were known as the Forty-Eighters. They included politicians, journalists, and professionals. Henry Villard and Carl Schurz were part of the Forty-Eighters. Many German intellectuals came together in the United States to devote their time and knowledge to develop German literature, science, Latin language, philosophy, and classical music; Gustav Koerner being one of such prominent representatives. Seaport cities such as Baltimore and New York had a large number of German immigrants. A small number of Germans settled in the Deep South. The immigrants entered Texas through Indianola and Galveston. By the beginning of 1850’s, Texas had around twenty thousand German-Americans. The relative autonomy of German population was eroded gradually by the Russian monarchy. There was a lot of pressure from the Russian government for cultural assimilation throughout the nineteen century. A lot of Germans had to emigrate from Russia in order to preserve their heritage and culture and also to avoid conscription. By the year 1900, around one lakh Germans immigrates and settled majorly in Nebraska, and Kansas. The Russian Germans found themselves to be completely different from Russian Americans and also Germans who had emigrated from Germany. Thousands of German-Americans were ready to fight for the United States of America in the Civil War or America, which was fought from 1861 to 1865. They formed the largest group of immigrants to fight in the Civil War of America. Large grants for land was provided to the Western railroads and this proved to be a good opportunity for them to attract farmers and sell them lands for farming. Agencies were set up in German cities such as Hamburg, promising the immigrant’s easy terms for buying farmland and also cheap transportation. The Germans wanted to keep the farmland within their family and thus they strategically planned their inheritance. They showed high interest in farming during the nineteenth and the twentieth century. Germans started to vote once they received citizenship, whereas, earlier to this they barely held offices. The Germans strongly opposed moralistic crusaders, who were called “Puritans” by them. The German immigrants strongly distrusted Crusaders like William Jennings Bryan and voted against them heavily. The other important factor in the voting process became the fact that they were also against Free Silver. But by the year 1900 a lot of German Democrats went back to their party and gave their votes to Bryan, the reason probably being the foreign policy of President William McKinley. Around eighty percent of German Americans voted for Lincoln in the year 1860 and they even supported the war efforts strongly. A significant role was played in the labor union movement by the Germans. Anti-German sentiments came up during World War I, which was fought between the years 1917 and 1918. The German immigrants were accused of being way too much sympathetic to the Imperial Germany. Around four thousand German aliens were imprisoned out of 480,000 people by the Justice Department who had prepared a list of German aliens. Most of the people were imprisoned either for supporting the war efforts of Germany or because of the fact that they were accused of spying for Germany. The German Americans had to buy war bonds in order to show their loyalty towards the Americans. German books were removed from the public library shelves. The streets which had German names were renamed. To cope up with such situations, the Germans used tactics such as adopting American names and also by restricting the use of German language to the minimum in places like churches or on the streets or the market. Many famous Germans such as Erich Maria Remarque and Albert Einstein who were Jewish had to flee from Germany due to Nazi oppression. Around 114,000 Germans fled to the United States of America during the Second World War. The 1940 Act of Alien Registration in the States required around 300,000 German who were residents and still had citizenship of Germany to register under the Federal Government. Their ownership of property and travel was highly restricted. The President of America Franklin D. Roosevelt during the Second World War gave really important war jobs to German-Americans such as spies or translators for the States. United States Census Bureau in the year 1990 claimed that around fifty-eight million (58 million) Americans either solely or partially belonged to German descent. The Community Survey of America did a survey in the year 2005 and result were that around fifty million (50 million) people in America had German ancestry. Texas, Pennsylvania, and California have the highest number of people belonging to the German origin. Places like Iowa, Ohio, Minnesota, Nebraska, South Dakota, North Dakota and Wisconsin have the largest number of German-Americans of around one-third. According to a survey done by The American Community Survey, the number of German-Americans in The United States of America has reduced from around forty-nine million (approximately 49,224,146 people) in the year 1980 to forty-seven million (approximately 47,911,12 people) in the year 2010. The German language was cultivated through elementary classes, newspaper, and high school education. In many cities like Milwaukee, there was a strong support for establishing schools which were aimed at imparting education to children in the German language. Teacher training institutes (Töchter-Institut) were set up to help the students and teachers, study and teach using the German language. A company named as Germania Publishing was set up in Milwaukee, in the latter half of 19th century which published books, newspapers, and magazines in German. German Americans had a common term for their organizations and neighborhoods called “Germania”. The transplanted nationalism of Germans was termed as Deutschtum, both politically and culturally. The population of German-Americans doubled in the United States of America between the years 1875- 1915. The German-Americans continued to support the actions of the German government, during the First World War when The United States of America entered the war the German-Americans continued to vote for antiwar candidates and anti-draft. The disintegration of ‘Deutschtum’ took place after 1918. German-speaking settlements of Moravian Church such as Lititz and Nazareth, Bethlehem, Wachovia and Pennsylvania helped in developing the musical culture in the first half of 1741. The musical culture was majorly developed by the Germans in the major cities by forming popular bands, operas, singing societies and symphonic orchestra. German culture was promoted in the United States of America by Berlin’s imperial government. Press was developed in a foreign language in The United States of America this helps the German immigrants keep track of activities and incidents happening at their native place as well as learn new things about their current new homes. Around eight hundred regular publications was done by Germania. The ethnic loyalty of Germans was encouraged and values of the middle class were promoted by prestigious newspapers that were published daily, such as Anzeiger des Westerns, Staats-Zeitung of The New Yorker and Chicago’s Illinois Staats-Zeitung. The German-Americans published around two-third of newspapers published in the foreign language in the United States of America. These newspapers were owned by the United States and also controlled by them, there was no German control. The newspapers printed talked about the major diplomatic and political events in Germany but from an American point of view. By the year 1920, the number of publication in The German language reduced down to only two hundred and seventy-eight. The Germans strongly supported gymnastics and introduced this sport it in The United states of America. They even supported other sports programs. Sports was used by the German-Americans to promote pride and ethnic identity which in turn helped them to integrate into the American society. Turner Movement took place in mid- 19th century, this provided a forum for socializing to the new German immigrants as well as it offered sports programs and exercises. Most of the Germans who immigrated to the United States of America before the nineteen century were members of Evangelical Lutheran Churches back in Germany. So they created Lutheran Synods in New York, North Carolina, and Pennsylvania. The Amish, originally from Switzerland and Southern Germany migrated to Pennsylvania in the early eighteenth century. They were looking for religious freedom, which was one of the most important reasons why they moved to The United States of America. America was like a religious haven for them. The Hutterites were very similar to the Amish, they fled from Germany to avoid religious prosecution for holding certain kind of religious beliefs. They still lead a lifestyle like their ancestors did, after coming to The United States of America in the year 1870. They still speak in German and most of them are able to talk in Standard German language which is different from their dialect. Most of the German-Americans have adopted the mainstream customs of America, after staying in the United States of America for more than two or three generations. By the 1900’s the older member of the German-American community attended church services which were in The German language, on the other hand, the younger generation attended church services in English. According to the census in the year 2000, there were around 1.5 million people who were American but still spoke German at their homes. Though there was no official language of United States of America, use of German as a language was discouraged strongly during the First World War. People stopped using it at many places. There was a controversial law passed by the United States of America called as Bennett Law which required that all the private and public elementary schools, as well as the high schools, had to use English as the mode of teaching. This affected many of the private schools which used German as the mode of teaching (few Norwegian schools were also affected), this act of the State was highly resented by the German-American population. The German transition to the English language was forced upon then as well as the process was extremely abrupt. During the First World War, this transition was forced upon them by the government. Most of the Germans magazines and newspapers were shut down, and rarely anyone spoke German on the streets of the State. The younger generation of the immigrant Germans started attending English high schools and colleges and later got married to people belonging to other ethnicities. Germans were almost completely assimilated by 1940s, and Germania vanished to remote areas outside the cities. Germans have made a vast contribution to a number of areas in American technology and culture. 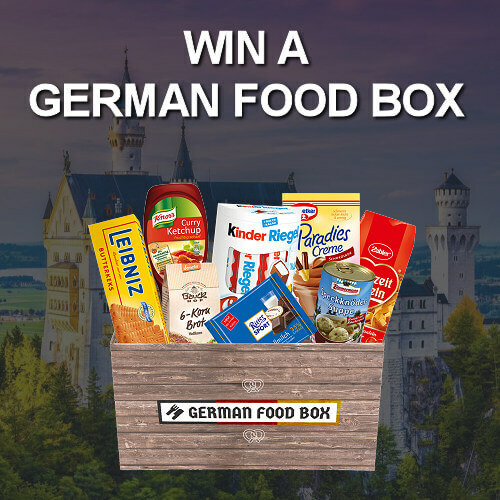 German cuisine is a big part of the traditional cuisines of the United States of America, especially regarding meats, pastries, sausages, and beer. Pretzels, which is a very popular dish in the United States was introduced by the German bakers. German Americans have influenced almost all the fields in The United States of America such as science, business, sports, theology, politics, the society, architecture and even the military.